I have worked with dogs and their people for over 20 years. Dogs are part of our families more than ever before. 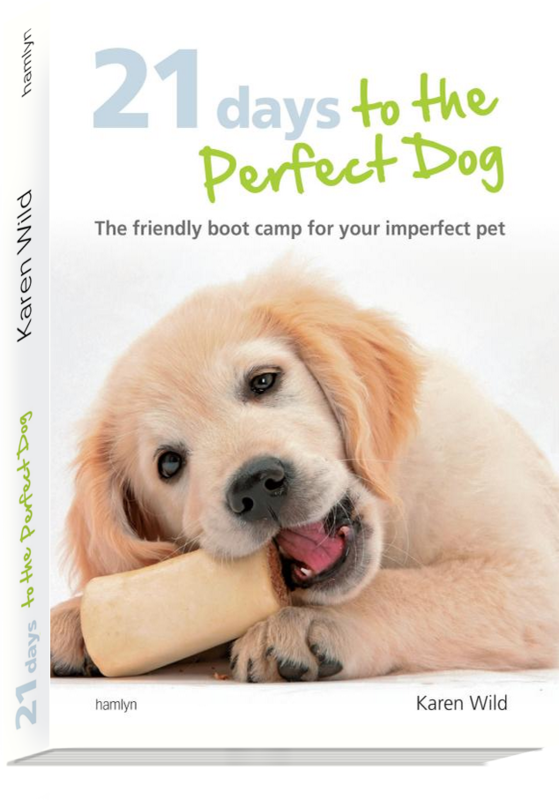 My passion is to improve this relationship and build a happier life for you and your dog too. Recently, I apparently taught Daily Mail columnist Sarah Vine how to speak dog! As part of my commitment to high standards, I am a Certificated Clinical Animal Behaviourist (CCAB), Animal Behaviour and Training Council Clinical Animal Behaviourist (ABTC-CAB) and a Full member of the Association of Pet Behaviour Counsellors (APBC) and I am an ABTC (Animal Behaviour and Training Council) Registered Animal Training Instructor. I am also a graduate member of the British Psychological Society (MBPsS). I also qualified as a dog training Instructor (First grade, Honours) with the British Institute of Professional Dog Trainers in the days before the APDT even existed and have kept my skills and knowledge up to date ever since attending regular training courses including a recent Certificate of Excellence from Dr Susan Friedman’s Living and Learning with Animals course. 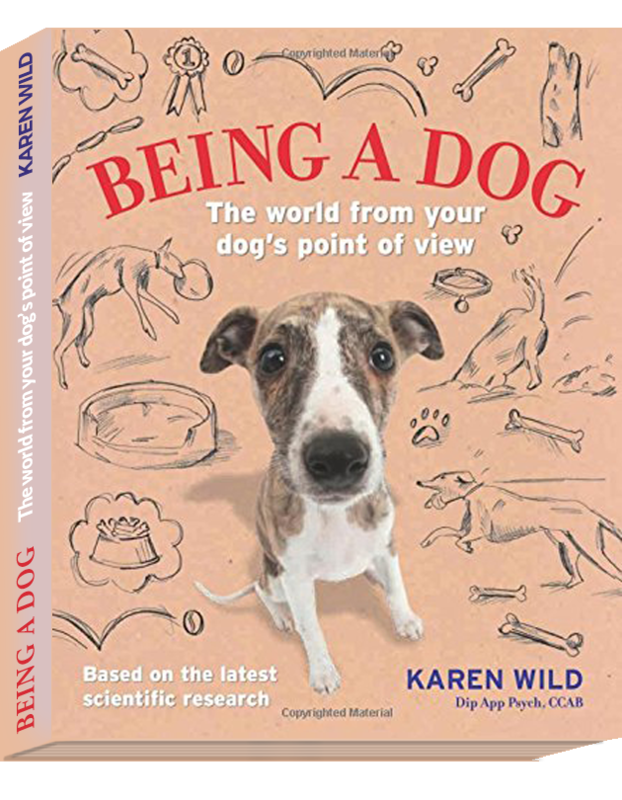 I write on dog behaviour and training for Dogs Today, Pet Product Marketing, PETS International, Dogs Monthly, Pet Gazette and Pet Focus. I have written three best-selling books on training and behaviour, published by Hamlyn, translated into several languages worldwide. 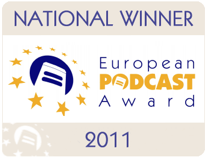 I’m also a guest blog writer for Dr Ian Dunbar’s revolutionary website, Dog Star Daily. I also lecture on Behaviour practice, practical training and consultation for the Professional Diploma for Clinical Animal Behaviour at Central College for Animal Studies (CCOAS) and was guest instructor for Anglia Ruskin University in Cambridge, U.K. I speak regularly on this same subject in webinars and seminars, most recently in Dublin, Ireland and Shrewsbury, Shropshire and addressed the APBC Annual Conference in 2014. Book for your speaking event here. Over the years my work has ranged from class teaching, obedience, flyball, agility and working trials competition to running a popular dog display team. 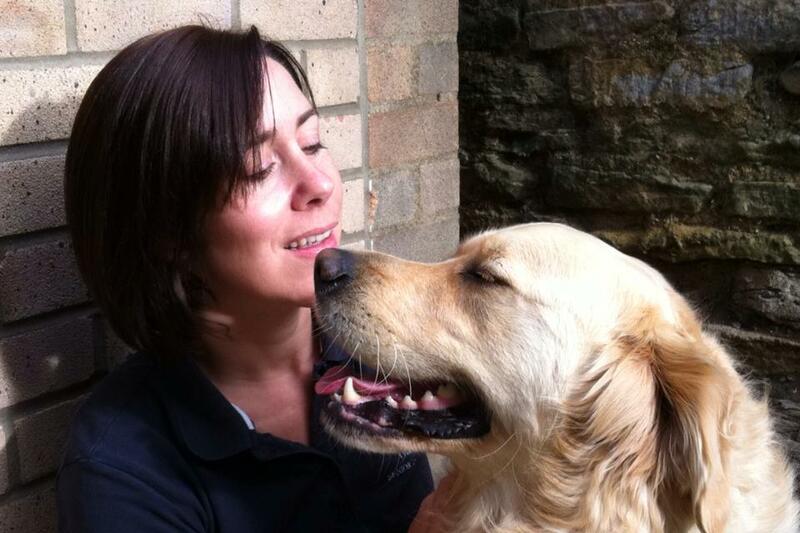 When I started my family I realised there was a genuine need for one-to-one help for family dogs; I formed Pawprint for behavioural consultations and training. 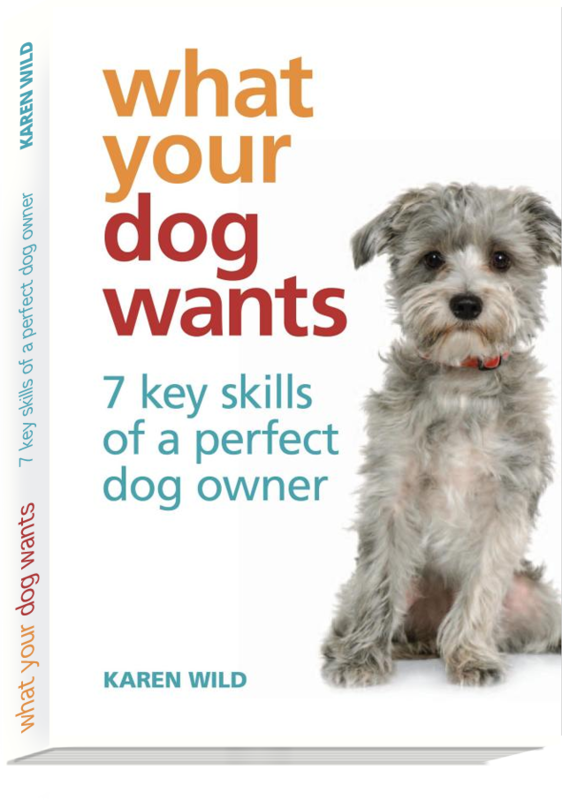 My passion is to create and rebuild the ‘enjoyment factor’ that can come from owning your pet dog. I strongly believe that there is ‘always a way’ and am fully committed to uniting families with their dogs in the gentlest way possible. At Pawprint we do not use harsh training methods. We use positive reinforcement and reward-based training. I am pleased to be a Special Council Member of the Pet Professional Guild which upholds the standards of force-free animal training. 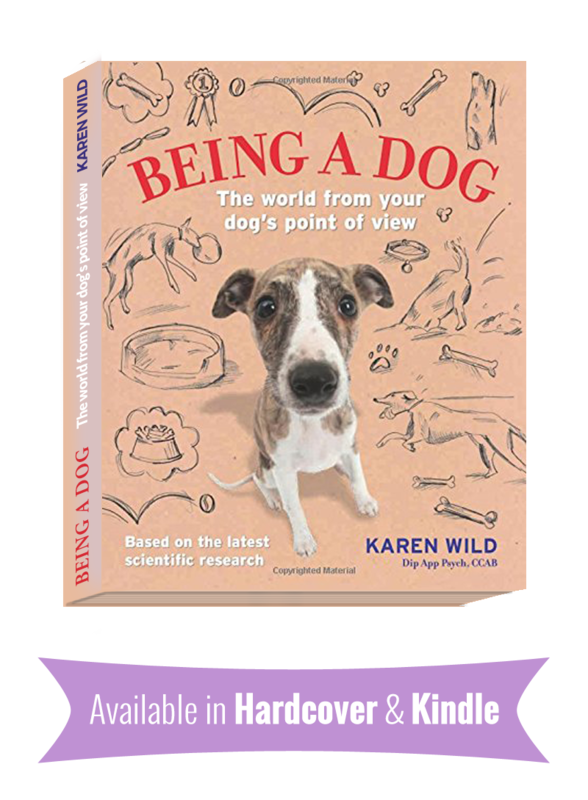 My work with dogs and young people included a programme to bring more dogs into schools in the UK as well as a heavy focus on children and safety around dogs. See our ‘Safety Around Dogs’ film developed by schoolchildren in the ‘Coco Academy’. I helped research and design a calming film to help dogs and cats through sound phobias, narrated by the amazing (and best Doctor Who) David Tennant. I also helped develop the world’s first Doggy Bedtime Story to calm dogs around fireworks, both with MoreTh>n Insurance, read aloud by actor and fellow dog lover Simon Callow. Those are my dogs being lulled to sleep on the video. I also write for Veterinary Practice Today, Veterinary Nursing Times and have a syndicated column with Johnston Press including the Bourne Local/Stamford Mercury. You can often hear me on BBC Radio as well as giving pet advice on Rutland Radio, and I once took Eamonn Holmes to task on Sky News about banning shock collars! I was also featured on Channel 5’s ‘Royal Pets’ programme, speaking about their many dogs. I hold an honours degree in Psychology and a Diploma in Applied Psychology from Nottingham University, UK. Certification is administered by the ASAB Accreditation Committee, including representatives from the British Psychological Society, the Royal College of Veterinary Surgeons and the International Society for Applied Ethology as well as members appointed by ASAB Council. Certification constitutes recognition by ASAB that, to the best of its knowledge, the clinician meets the educational, experiential and ethical standards required by the Society for professional clinical animal behaviourists. By consulting with a certified professional clinical animal behaviourist (CCAB), you can be assured that the behaviourist is suitably qualified, has experience of treating behaviour problems, and adheres to a Code of Conduct. The treatment of behaviour problems in cats, dogs, horses and other companion animals is a highly specialised field that requires qualified professional help. The APBC represents a network of behaviour counsellors that have achieved the highest proven academic and practical standards available in the field of companion animal behavioural therapy. APBC members abide by a strict code of conduct and continually develop their professional knowledge in the light of new research so that clients and the veterinary surgeons who refer them can be assured they receive the latest expert advice. ABTC (Animal Behaviour and Training Council) Registered Animal Training Instructor. It sets and maintains the standards of knowledge and practical skills needed to be an animal trainer or animal behaviour therapist, and it will maintain the national register of appropriately qualified animal trainers and animal behaviourists. Founded in 1974, the BIPDT is a register of bona fide persons suitably qualified as trainers of working dogs and to establish the highest code of conduct for all persons connected with the use of dogs in the service of mankind. By means of training courses and examinations for instructors, trainers and handlers, it aims to raise the standard of training, management, welfare and usage of working dogs. Instructors are assessed at a practical, week-long residential course. 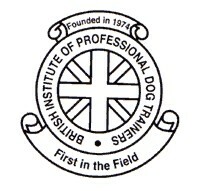 The BIPDT pre-dates the APDT-UK by many years and at the time of qualification was the only dog training course and assessment available to assess instructors to the high standards needed for professional dog training.